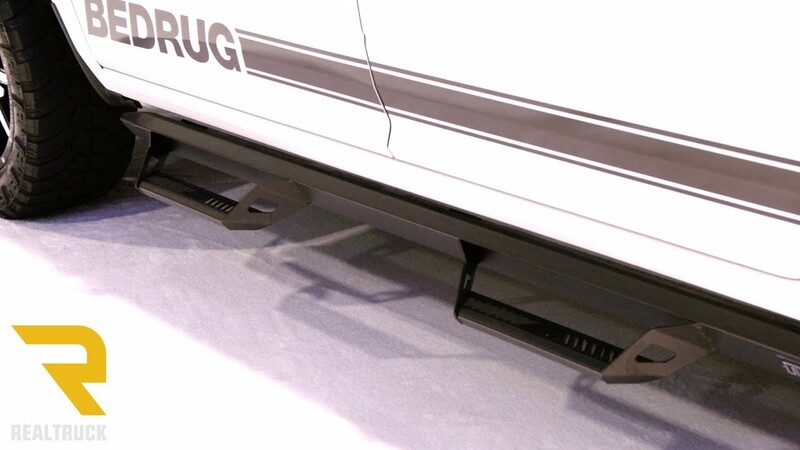 With one of the industry's tightest fitting tubes, the N-FAB Predator Pro Nerf Step System creates an ultimate clean look on your truck or Jeep®. Our drop-down hoop step has a large dimpled step pad for ease of access in any condition. Predator Pro's fully welded 1-piece design provides strength, durability, and installation. The N-FAB Predator Pro Step System offer an easy installation that can be done in your own garage without the need for any special tools. Some trucks will need minor drilling for installation. The product comes with easy to understand vehicle specific installation instructions. Includes two steps and all hardware necessary for installation. N-FAB's RB bumpers are built using 1.75" .095 wall tubing that is treated inside and out for maximum corrosion protection. The N-FAB Roof Rack features a Front & Rear Multi-Mount System for a combination of LED lights up to 36" across. 100% aluminum hoop step with a patented drop-down hoop step with a new, larger step area for ease of access when installed on stock or lifted vehicles.